An alumnus of the London Business School (LBS), R P holds 11 research papers to his credit and is a frequent speaker at academic and industry events. He also serves on the board of several institutes, non-profit organizations and corporates in the region. An avid golfer, wildlife enthusiast and conservationist, R P manages to make time to serve as the Editor-in-Chief of a City based weekly newsletter also. 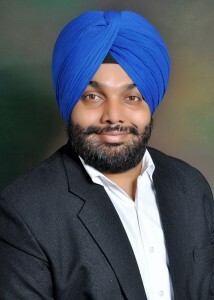 He also holds Bachelors and Master’s degrees from Panjab University (Chandigarh), Punjabi University (Patiala), and the Indian Institute of Commerce and Trade.